We are pleased to announce that D. Lieber will be an Artist Alley exhibitor at the 2019 Chicago Steampunk Exposition. 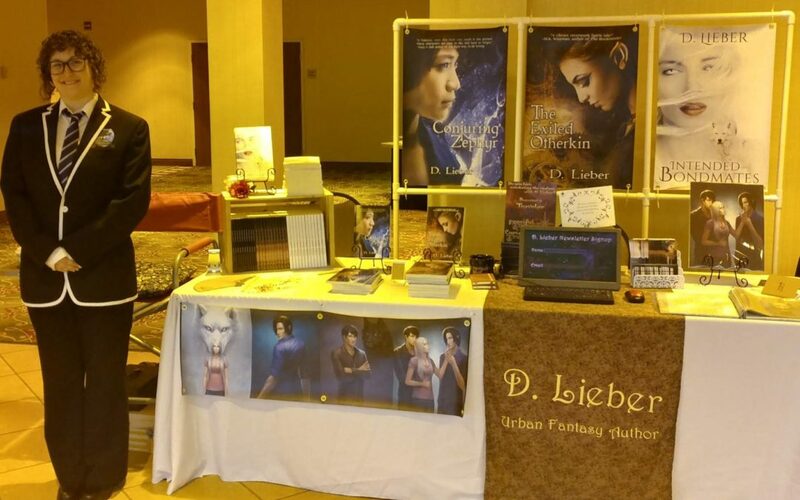 D. Lieber is an urban fantasy author who stories that she wants to read. Her love of the worlds of fiction led her to earn a Bachelor’s in English from Wright State University. When she isn’t reading or writing, she’s probably hiking, crafting, watching anime, Korean television, Bollywood, or old movies. She may also be getting her geek on while planning her next steampunk cosplay with friends. She lives in Wisconsin with her husband (John), retired guide dog (Samwise), and cat (Yin).